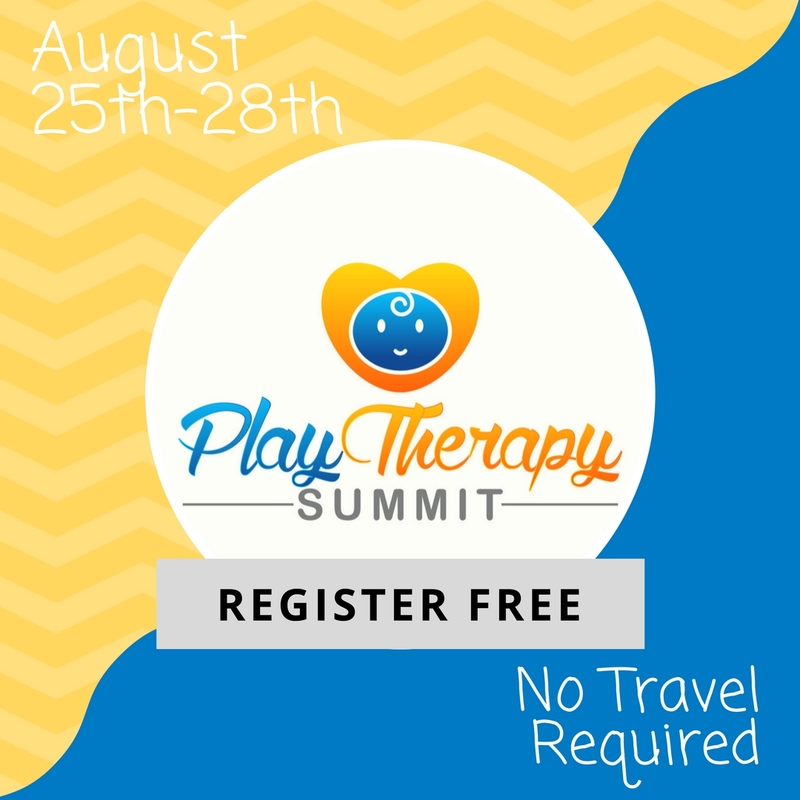 I have such exciting news to share with you- the first ever Play Therapy Summit is about to begin and the best news is that it is FREE to join!! Think back to your most successful play therapy session this past week. Now ask yourself: On that morning, what did you do differently? What did you say to introduce the child to the playroom? What strategies did you use to build rapport and to make the child feel valued and respected? The truth is, most of us don’t pay nearly enough attention to our daily routine. But what if you knew precisely the right formula? What if you had a toolbox filled with treatment plan interventions designed for achieving the best results with the most difficult clients? What if you could bottle that one perfect day and uncork it at will? If you’ve ever wondered how you can take your clinical practice to the next level, I have something that I know you’re going to love. Take a look at this incredible event, featuring some of the best psychotherapists in the world. We’re talking Play Therapy leaders and experts like Lisa Dion, David Crenshaw, Clair Mellenthin, & Janet Courtney, not to mention the 17 other experts in the lineup. For four days in August, they’re revealing their favorite practical strategies for using play therapy that you can start using today. And incredibly, they’re giving away tickets for FREE. Registration just kicked off TODAY and space is limited. Don’t put off what could well be the most important move you make all year. Sign up right now. I can’t wait for you to watch this. This is going to change your play therapy practice. Copyright © 2017 Clair Mellenthin LLC, All rights reserved.